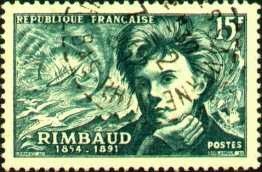 The shades of Oppen and Rimbaud stalk unmentioned through much of The Poet Resigns: Rimbaud, the intransigently avant-garde Communard sympathizer who abandoned poetry for gun-running; Oppen, who bailed out of the Objectivist “movement” (and poetry itself) in order to organize strikes for the American Communist Party. The two men are as it were limit-texts for the collision of poetry and active politics. But in their wake there have been whole generations of poets, in both Rimbauldian and Oppenian genealogies of influence, who have argued that making poems can be in itself a way of doing political labor. Archambeau’s subtitle, “Poetry in a Difficult World,” evokes Adrienne Rich (An Atlas of the Difficult World): where Rich’s poems aim to examine and perhaps even to intervene in a world of disquiet, cruelty, and injustice, Archambeau is interested in the place poets stake out for their art, the claims they make about the relationship of poetry and power—and the motivations for such claims. And they have the advantage of the best occasional writing: immediacy, a sense of responsiveness, conversationality. But Archambeau is a “big ideas” critic: he invariably wants to spin his momentary interpretations of texts into larger insights about the place of poetry in the world. Sometimes, as in the more general essays in the first half of the book, this results in excellent and provocative meditations; sometimes individual poets, poems, and passages from poems become grist for a relentless point-making mill. There is enough to think about in The Poet Resigns to fill a shelf of books, and if Archambeau has the tendency sometimes to answer the big questions of our poetic moment a bit more rapidly than I’m comfortable with, he’s to be given abundant kudos for raising them in such a clear and thoughtful manner, and for tackling them in such lively and intelligent prose. There are many moments in The Poet Resigns when Archambeau’s affection for poetry (in all of its forms) and his sensitive critical intelligence align perfectly with his structure-making impulses. And the more personal moments of this collection, such as the delightful “My Laureates,” show that the poet-critic, whether his resignation be temporary or permanent, is by no means afraid to subject his own socio-politico-theoretical position to the same examination he has brought to bear on others. He's got my number, Scroggins has: every time I read a poem I do want to spin the interpretation out into a general discourse on the history of Western aesthetics since the Enlightenment, and a concomitant social analysis! And I do love giving an outline of an entire system of thought as a prelude to making often relatively minor observations (see, for example, the blog post preceding this one). This can certainly be a vice, even as it can, on a good day, perhaps be a virtue. Scroggins isn't the only person to have noticed this. During the recent MLA convention in Chicago I was several drinks into the evening with the writer of another, forthcoming review of The Poet Resigns, who told me "most of those essays ought to be books!" I took this as a compliment at the time, but I suppose there's a very different way of seeing it, too. Anyway: I get what Pinsky means: its good to be seen for exactly what you are, and Scroggins sees pretty damn clearly.